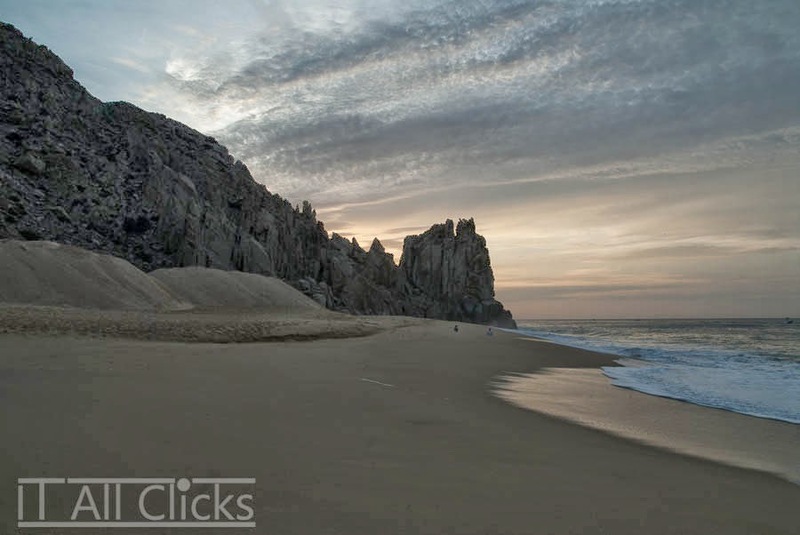 Cabo San Lucas is maybe the only place in Mexico where you can see the sun both rise and set over the ocean, depending on which side of the Cape you are on. It is about a 30 minute drive from one side to the other, giving you plenty of amazing landscapes and photo opportunities. While enjoying the views you can enjoy a fish taco (taco de pescado) with a cool beer or fruit drink. This was an interesting image to work with, as the original photo was very dark and lacked detail. I started by creating two copies of the image at EV+1 and EV+2, which I combined into an HDR image using Nik HDR Efex Pro. 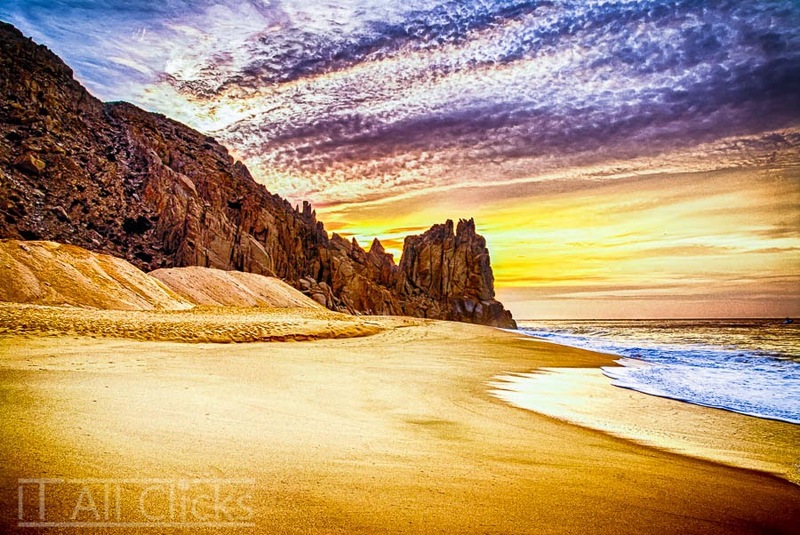 I repeated this process with different HDR settings to obtain the look I wanted for the sky, sand, and mountains. I then combined all the images in Photoshop.